Publication: Sp. Pl. 1: 330. 1753. Notes: Native to Eurasia. Not included in H&C. 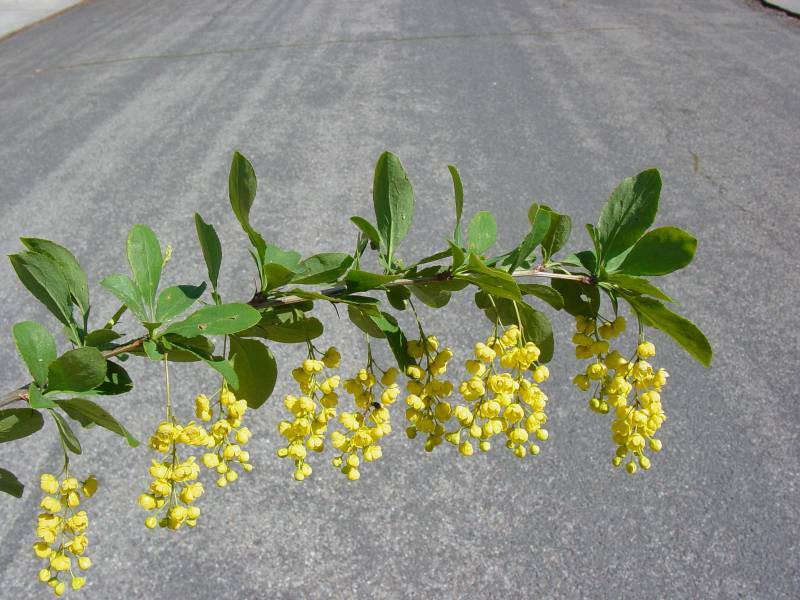 FNA3: "During the eighteenth and nineteenth centuries, Berberis vulgaris was very commonly cultivated in North America for thorn hedges and as a source of jam and yellow dye. It frequently escaped from cultivation and became naturalized over a wide area of eastern North America. It is susceptible to infection by Puccinia graminis . As the most important alternate host of this fungus, it has been the subject of vigorous eradication programs, and it is now infrequent or absent in many areas where it was once frequent (A. P. Roelfs 1982)."